Home > Books > The Arts > Plays > England, Arise! In 1914 the young men and women of Huddersfield Socialist Sunday School believe passionately in a better world. Inspired by the revolutionary art, music and literature of the times, Arthur Gardiner and Percy Ellis refuse to take arms against their fellow workers. Buoyed by the support of their community at home and abroad they take on the military in a momentous battle. They suffer prison and brutality, and are taken to breaking point in a war of wills. It costs them everything – except their conscience. Supported by the National Lottery through Arts Council England; England, Arise! is an exciting collaboration which delves into an untold seam of British history, unearthing a story of passion, courage and utter belief in a better world. 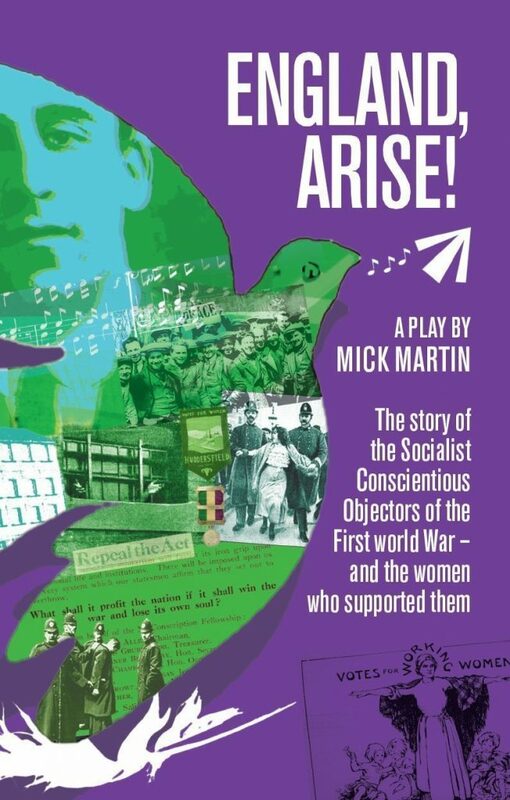 Inspired by the book Comrades In Conscience by Cyril Pearce, and Jill Liddington’ story of the Northern women’ suffrage movement, Rebel Girls, and using first hand source material, England, Arise! brings to life a world of young people full of ideas, good humour and optimism for a brighter tomorrow. This is the first printed, English edition of The Lighthouse. The volume transcribes the version licensed for the Olympic Theatre in 1857 which includes the ‘Prologue’ and the ‘Song of the Wreck’ contributed by Dickens. The first publication of Wilkie Collins’s script for the Olympic production of the thrilling three-act drama, The Red Vial. A complete, annotated transcript of the play, a scholarly introduction and contemporary illustrations and reviews.